No matter how careful you are with money and how well you budget, for most of us there are always times when we need a little extra money to buy essentials. Be it a car, a house deposit or simple needing a family vacation, there are many different reasons why you’ll need to borrow money. The most important thing to keep in mind when borrowing money is to ensure that you have the ability to pay it back within a set time limit, whether this is set by the loan provider or by yourself. Having long-term debt hanging over you often leads to more debt and an inability to see your way out of the cycle of borrowing money. If, on the other hand, you have a clear idea of when the money will all be paid back, be it six months or three years, you will be able to see an end to your debt. It is for this reason that you should spend time deciding what is the right loan for you. To help you decide which is the right loan for you, we’ve taken a look at the pros and cons of the most popular types of loans available. Short term loans or payday loans are ideal for those needing a little bit of extra money to see them through until their next pay day arrives. These loans are popular with people who have had to pay out for an unexpected expense, repairing the family car for example, but who know that they will be able to pay back the loan in full quickly. 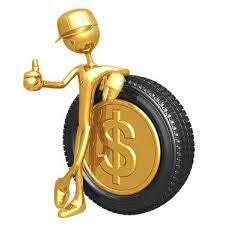 These Short term loans provide money fast and have less background checks than other loans. 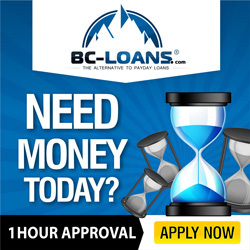 If you are considering one of these loans, however, it is vital that you are able to pay back the money in full within the agreed time frame or else you could be hit with very high interest rates. Many people turn to their credit cards to pay for everyday products such as food and gas. Credit cards have the advantage of providing easy money and can often have high credit limits, taking the worry out of paying for everyday essentials. However, if you are depending on your credit card to buy essentials because you cannot afford it from your monthly wages alarm bells should start to ring and you need to re-budget and cut down on your outgoings. A major downside to credit cards is that many people forget that it is a type of loan and that they will have to pay back. Meeting your minimum payments might be fine now, but what happens if your circumstances change? The best way to use credit cards is to ensure you pay off the balance every month so that it doesn’t result in long-term debt. Bank loans are great for those needing to borrow a large amount of money. Another plus is that you often have to agree a set timeframe in which to pay back the money, so although you will be in long-term debt you will also know how long it will take to pay it off. The negatives with bank loans is that they usually take a while to be agreed and therefore aren’t suited to those needing the money quickly, also banks tend to have much stricter rules about who they lend money to.